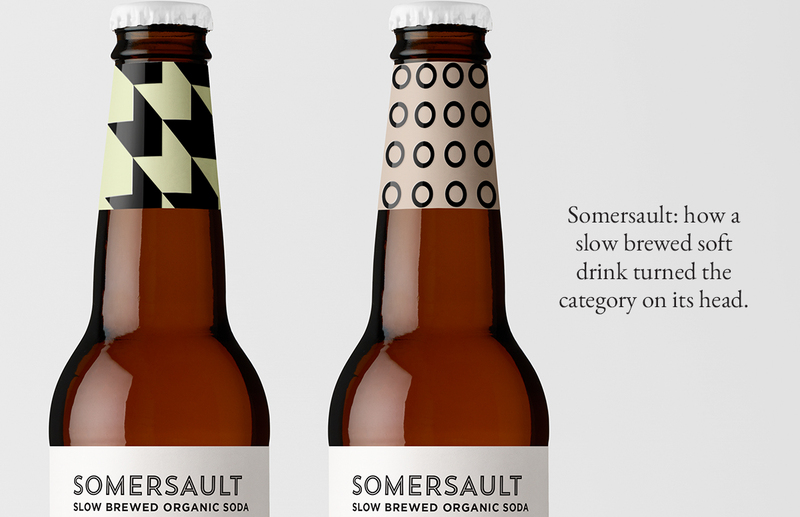 Somersault: how a slow brewed soft drink turned the category on its head. A client who had an extensive background in beer had developed a unique range of premium sodas aimed at tapping into the growing non-alcoholic adult drinks market. Slow-brewed from organic ingredients over several days, the sodas were full-bodied yet had a delicate natural flavour. Unique in taste and made in small batches, they were to be sold exclusively through cafés and bars. We developed a range that featured unusual earthy colours alongside bold graphic patterns to express both the intensity of the flavours as well as the natural organic ingredients. 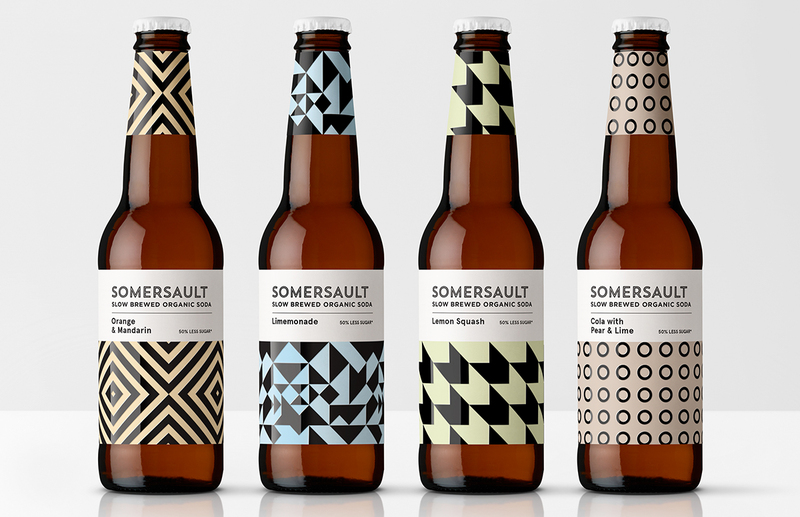 The soft colours, contrasted with the bold patterns, give the sodas unisex appeal as well as a powerful fridge presence.